Smart Cities – GPI | Greenman-Pedersen, Inc.
A smart city is an active city striving for sustainable development and high quality-of-life for its citizens. A smart city anticipates technological and societal developments and, accordingly, gets ready for the future. GPI offers innovative solutions to cities in various complementary areas: transportation, urban mobility, environment, resilience, mobile applications, and large-scale data acquisition and asset management development. GPI created a custom simulation model to explicitly represent New York City’s policies and protocols for transit signal priority (TSP) operation. Using this model, GPI has been analyzing and implementing TSP plans for 14 major Bus Rapid Transit corridors including 690 signalized intersections along 75 miles of roadways throughout New York City. These corridors serve over 300,000 riders per day. Our TSP implementation in Lower Manhattan provides travel time savings of up to 18% through the busy Wall Street Financial District, thereby strengthening local public transit and offering sustainability benefits, including improved service reliability, reduced congestion, and lower operating costs. GPI’s TSP work in Manhattan merited the highest level Diamond Award from the New York State Chapter of the American Council of Engineering Companies (ACEC) in 2014 and was also nationally recognized by ACEC. We are guided by the understanding that seeing is believing and believing is the first step to obtaining “buy-in”. GPI’s policy support tool “Our Street” is an easy-to-use Virtual Reality (VR) application geared to support community engagement. It shows decision-makers, citizens, and stakeholders in a visually attractive and fact-supported way how streets and other public places would look after the implementation of projects. The visualization can integrate supporting facts which appear via a menu or scroll-over function. Our Street has been used in various sustainable urban mobility and Complete Streets contexts across the United States. 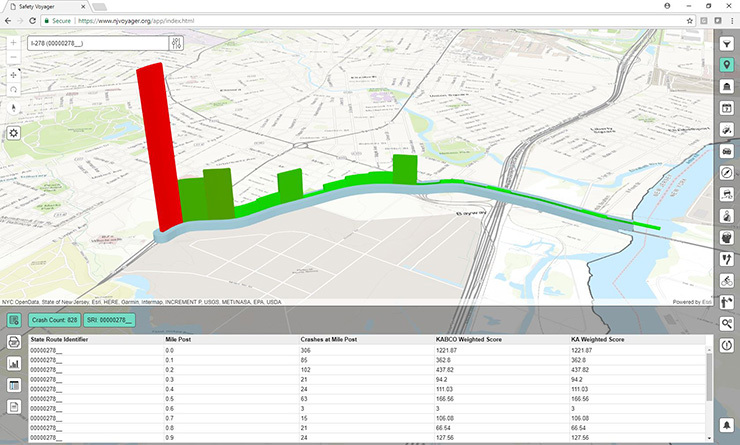 The Federal Highway Administration, New Jersey Department of Transportation, and GPI, through a collaborative effort, developed NJ Safety Voyager, a secure, ESRI based, web database application that displays traffic crashes, average daily traffic data, and ball bank information in a map-based format. Users can filter data using either a map-based interface or tabular data to create reports and view safety related data from both the macro and micro level. GPI is providing aerial photography and video services to the New Hampshire Department of Transportation (NHDOT) via the use of an Unmanned Aircraft System (UAS) for various construction projects. 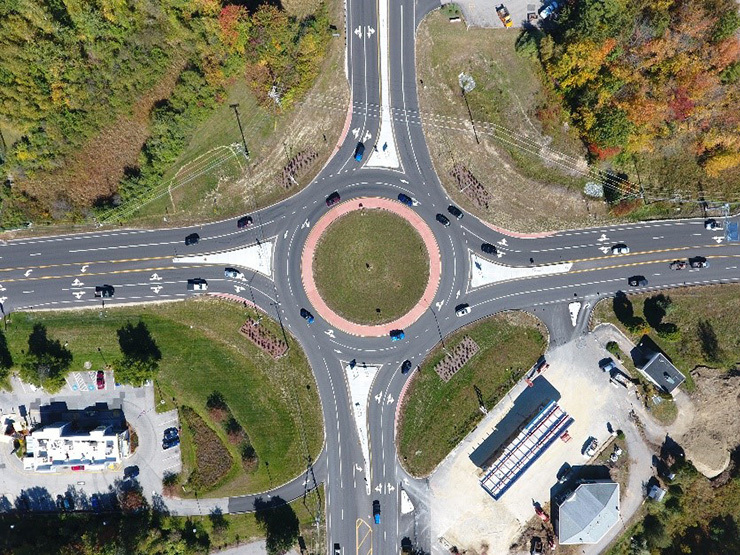 As part of these services, GPI prepared an educational video of the newly constructed two-lane roundabout in Lee, New Hampshire using the UAS footage, along with historical imagery and design documents received from NHDOT. Since navigating a multi-lane roundabout is more complicated than a single lane roundabout, the video was developed to provide imagery and guidance to the public on the proper way to drive a two-lane roundabout.